This week, another set of photos of the presumed iPhone 5 made its way onto the internet (see above). The latest iPhone photo leak took place on the Japanese tech site iLab, supposedly serving to confirm earlier reports of a newer, sleeker dock connector, among other features rumored to be included on the next-generation Apple smartphone. Following iLab’s lead, another Japanese tech site by the name of Macotakara posted a video depicting the alleged housing of the upcoming iPhone. 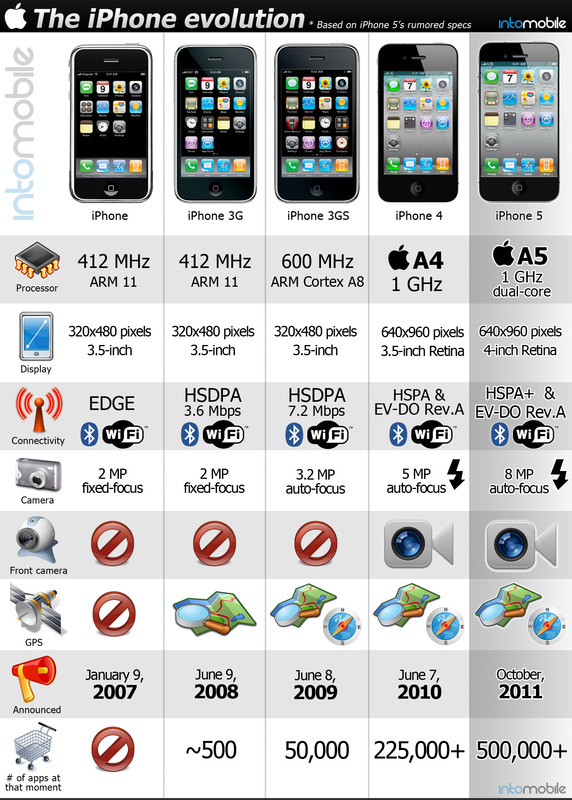 No Hype for the iPhone 5? Unlike a normal pre-release Apple leak that serves to spark immense hype and anticipation among consumers, however, these latest leaks seem to have evoked somewhat of a different reaction. Rather than discussions of what other features the new iPhone will hold on release day or how much it will cost for consumers to get their hands on the newest Apple smartphone, an almost palpable sense of reluctance and even fear has made its way into the reactions of notable tech pundits. What’s worse, that sentiment doesn’t just have implications for the success of the next iPhone. Over the past few days, the latest round of purported pictures of Apple’s forthcoming iPhone 5 have hit the web. And I can’t be the only potential customer who is deflated by what they see. In fact, I’ll go far enough to say that, if the iPhone 5 looks like the pictures that have recently appeared, Apple may be screwed. Taken at face value—and without justification—Blodget’s reaction comes across as a bit melodramatic. How could Apple as a company in trouble because of the way that the next iPhone looks? [The] “iPhone 5” looks pretty much like the iPhone 4S. Which looked exactly like the iPhone 4, a phone that is now two years old. In the meantime, Samsung and other manufacturers have come out with phones that make people’s jaws drop, such as the Galaxy S3, which has a (relatively) humongous screen. Although the Apple faithful may start hyperventilating about things like the movement or elimination of a button, most phone buyers couldn’t care less. Now that most phones do the same things and work pretty much the same way, the most obvious (and, arguably, important) difference between them is the screen. Apple’s competitors, meanwhile, are on a tear. In the past year, as Apple moved back its iPhone release schedule and then released a phone that seemed like only a modest refresh of the prior version, Apple’s competitors have been gaining ground. Samsung sold 52 million smartphones in Q2, twice as many as Apple, and is now the clear worldwide smartphone leader. Samsung’s Galaxy S3, which some reviewers say is better than the iPhone, has sold very well in the first couple months on the market. While I understand where he’s coming from here—at least in terms of the rather anticlimactic photos—I think Mr. Blodget may be getting ahead of himself for a few different reasons. And although I wouldn’t call his reaction melodramatic, per se, I do think he’s being a bit presumptuous. Are the Leaked iPhone Photos Legit? To start, he’s operating completely on the assumption that those photos do indeed depict the forthcoming iPhone. Of course, one need only do an image search for “iPhone 5 pictures” to conclude that images alone are hardly compelling. In fact, if we’ve learned anything from the release of several iPhones, it’s the fact that the more faux images are out there, the more “what if?” conversations there are, which in turn equates to free advertising for Apple. It’s actually quite brilliant. Furthermore, there have now been a number of reports that give us reason to believe that the iPhone will look significantly different. Over the past couple of months, we have learned that the iPhone 5 (or whatever they choose to call it) will have both a larger screen and, thanks to new innovative in-cell technology, a thinner body to counter the weight gain from the bigger screen. Both of which clearly aren’t present in this latest so-called leak. Who Cares What the iPhone 5 Looks Like? Next, let’s assume, for the sake of argument, that the pictures are legitimate. What then? With the exception of relatively subtle changes each release, the iPhone has kept the same general appearance since its inception. In fact, I would argue that the iPhone is iconic precisely because it has maintained a level of consistency in its appearance while competitors are just beginning to find their identities. The truth is that consumers are more concerned with what a smartphone can do than what it looks like. Even a larger screen size, which will alter the iPhone’s appearance (if the rumor is true), is more about enhancing the user experience than it is about achieving some elusive value based on aesthetic appeal. To be sure, we do know from Apple’s WWDC 2012 conference that much is in store for the iPhone where it really matters, particularly with the imminent release of iOS 6. And let’s not forget the reports—though unconfirmed—that the next iPhone will also come with Apple’s coveted HD retina display, among other critical next-gen capabilities. As I’ve made clear over the past few months, Apple is by no means in perfect shape. With investors keeping their eyes intently focused on stock values, the pressure on Apple to reach that dream price of $1,000 per share has almost become more important that ensuring that the company is on a sustainable path. With well over half of its profits coming from iPhone sales alone, Apple is predictably being faced with an important decision. On the less sustainable side, Apple can continue on its hype-dependent path of annual releases of its profit-padding smartphone, counting primarily on the Apple faithful and rumor-entranced consumers to gobble up millions of these devices each year. While this track may work to the delight of Wall Street investors looking for an artificial boost in Apple’s share value, it is a risky recipe that threatens to come crashing down on itself. On the other hand, as I pointed out after Apple’s earnings call last week, this is also a chance for the company to make a much-needed shift in its business strategy. With its devices enjoying wide adoption, Apple now has the opportunity to dial back its expensive hardware business and invest more in getting iPhone and iPad users indoctrinated into the Apple ecosystem. To be sure, Apple has a lot riding on the upcoming iPhone release, but contrary to Blodget’s assertions, Apple’s make-or-break moment will not be determined by how cool its next smartphone looks.